Please join us for our Annual Passover Seder. Our seder will be led by Rabbi Victor Urecki. 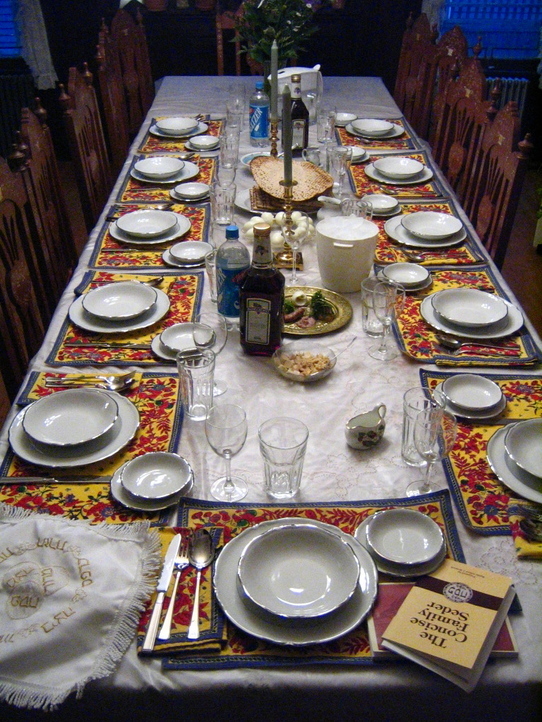 This is not just a dinner (with chicken or vegetarian option), but a traditional seder. You will learn what through text, instruction, and song the meaning behind this important celebration. Because it is such a special night and will be in the new social hall, reservations will be limited to 75 people. Cost for the dinner is only $18 for adults, $10 for students 13 and older and Sunday school age children are just $5 when accompanied by a parent or grandparent. You do not have to be a member of our community to attend.